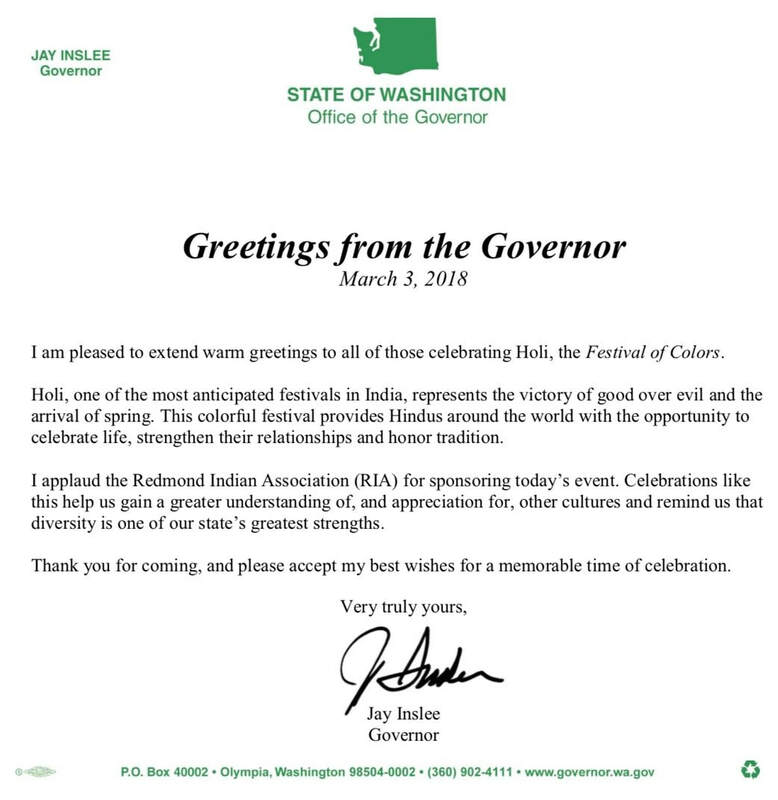 RIA Festival of Colors 2019 : Color! Music! 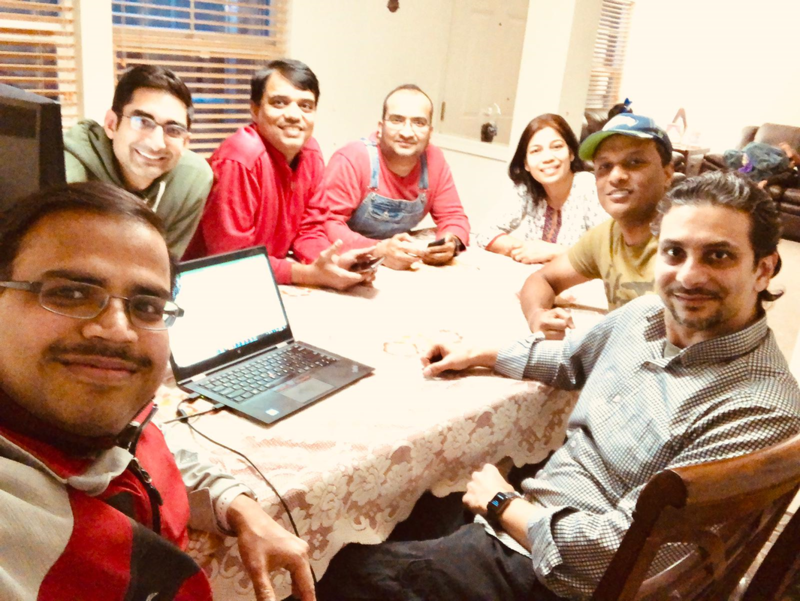 Masti! 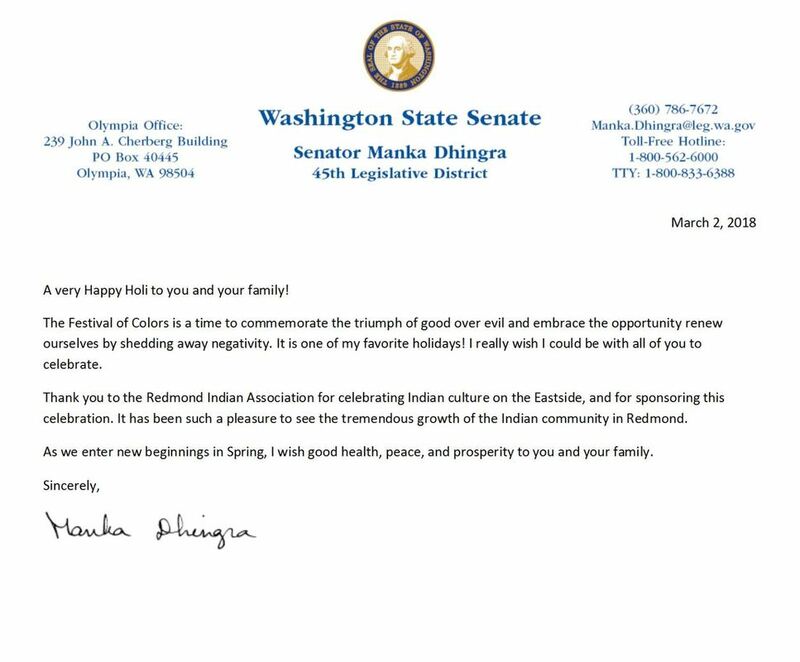 Redmond Indian Association (RIA) aims at providing a wonderful opportunity to promote, preserve and share cultural traditions with the diverse community at Redmond Ridge. The festival of colors, is one of the most exciting and fun filled Indian festivals. The festival marks the end of winter and the abundance of the upcoming spring harvest season. It is a festive day to meet loved ones, play, laugh, forget & forgive, and bury hatchets with a warm embrace. The Festival of Color frees all of inhibitions so they can relate others with pure joy. It brings people together and creates a community of happy people. It symbolizes the victory of good over evil. The spirit of this festival is truly universal. - A riot of colors to be played with family, friends and neighbors. This is a completely volunteer-driven event made possible by ticket sale. We would love to have more volunteers for the D-day event. We encourage middle- and high-school kids to step-up and earn their volunteer hours. If interested, please Click here. Continuing with our tradition of giving, this year we are donating all the savings from ticket sales of our event to Food Lifeline. Food Lifeline is western Washington's own hunger relief agency. Their mission is "to feed people who are experiencing hunger today and, at the same time, solve the issue of hunger for tomorrow." Their vision is to end hunger in western Washington state. ​Last year, we had supported the Northwest Harvest, an organization whose mission is "leading the fight for hungry people statewide to have access to nutritious food while respecting their dignity and promoting good health." In 2017, we donated the savings from this event to Redmond chapter of Hopelink, an organization that serves homeless and low-income families, children, seniors and people with disabilities in North and East King county. Looking forward to celebrating yet another fun-filled family friendly Festival of Colors with you. ​See you on March 23rd! !